"Excellent service, great atmosphere, and the latest technology! " "You will be treated as if you are the most Important person the world." "They're warm, friendly, and pour sincere care into the patient's dental hygiene." "The staff is professional, kind and have a great attitude. " "I know that I am getting the best care possible. " " This is the best dental office in the city!" Theodore Burnett, DDS, is a dynamic dental professional with almost 30 years of experience in general, cosmetic, and biomimetic dentistry. At his Los Angeles practice, Los Angeles Dental Arts, Dr. Burnett uses state-of-the-art technology that allows him to quickly and effectively treat most dental concerns. As a biomimetic dentist, Dr. Burnett believes in conserving teeth without destroying additional structures. Biomimetic dentistry is a technique that differs from traditional dentistry because it treats fractured, decayed, or weak teeth in a way that seals them and keeps them protected against bacterial infection and favors tooth structure preservation rather than rather than destruction as a measure of dental treatment. In addition to general dentistry, Dr. Burnett has extensive training in cosmetic dentistry and uses the latest techniques to provide his patients with the smiles of their dreams. With instant 3D imaging, specialized software, and Cerec technology, Dr. Burnett is one of the few dentists who provides same-day dentistry, including crowns, bridges, veneers, and implants. At his practice in Los Angeles, Dr. Burnett has created a welcoming office atmosphere, equipped with cutting-edge technology to ensure that his patients get the specialized care that they require. Dr. Burnett grew up in Los Angeles and received his dental degree from the Georgetown University School of Dentistry in Washington, D.C., in 1988. 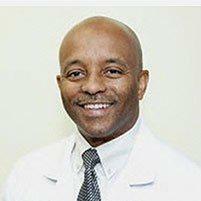 In addition to managing a successful private practice, he is the only African American dentist to hold the title of Director and Clinical Instructor with the University Of Southern California School Of Dentistry. Dr. Burnett is also a member of the American Dental Association, California Dental Association, and he’s president of the West Los Angeles Dental Society. Come Join our Dental family. At Los Angeles Dental Arts, we are always making progress in dental science for our patients almost anywhere. Is it time for your dental check-up? Biomimetic dentistry is a technique that dentists use that differs from traditional dentistry because it treats fractured, decayed, or weak teeth in a way that seals them and keeps them strong and protected against bacterial infection. Scroll through to see some real patient video testimonials! We accept the majority of dental insurance plans. We also accept Care Credit. Please call our office if you do not see yours listed or have any other questions. "This was the first time I ever felt comfortable talking about my teeth and not once felt judged or shamed. I truly recommend Dr. Burnett and his staff." "Everyone here is great! Very professional, friendly and above all very CLEAR with setting expectations. " "The care that my family received was professional, consistently excellent, with state of the art technology and technique." " Dr Burnett is very personable and shows great enthusiasm for the care of my family. He truly sets the tone for his staff which creates a wonderful experience." "I highly recommend Los Angeles Dental Arts to anyone looking for a dentist who sees you as more than just a set of teeth. At this place, they treat you like family."